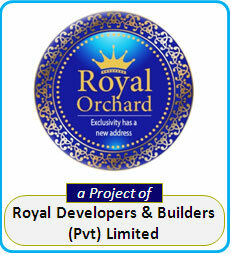 At Royal Orhcard, we believe in giving luxury and lifestyle to your life. After receiving an overwhelming response from the people of Multan and Sargodha, Royal Orchard Sahiwal aims to set new presedents in the existing landscape of Sahiwal. Located at a few minutes drive from G.T. Road and near COMSATS University Sahiwal, away from the pollution of rice mills at a scenic natural and airy landscape, this housing scheme is planned and designed to offer you a mix of luxurous residential lifestyle and lucrative business avenues which are comparable to any high caliber housing scheme in Pakistan. 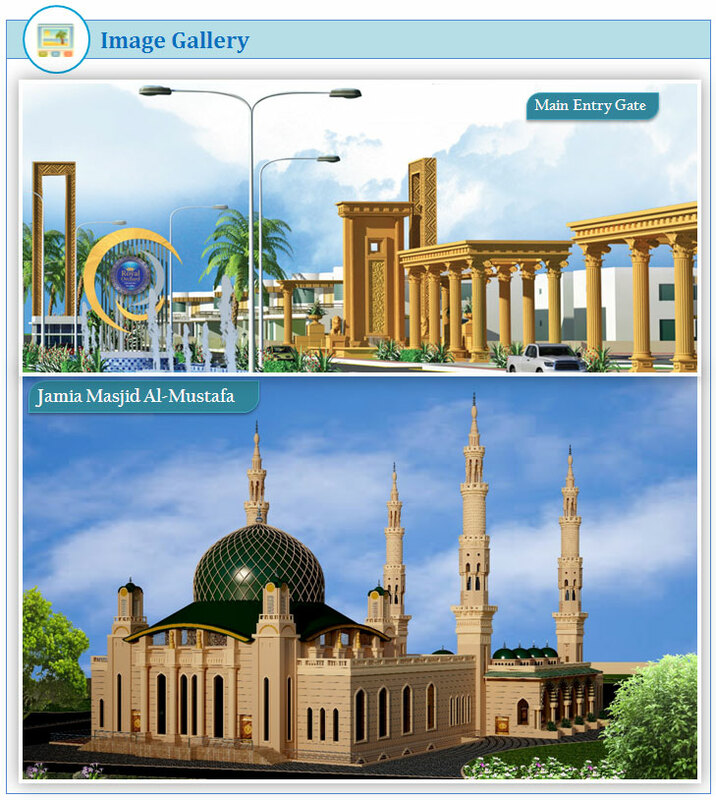 It offers residential amenities such as Grand Jamia Masjid, underground electrification, sweet water, gas, a newtwork of wide carpeted roads, parks, integrated security system, boundary wall and sewerage system. The premium facility which stands apart is the promise of a "Loadshedding Free" environment. This project is also mix of entertainment and shopping venues to fulfill your endless wish list of recreational facilities through shopping complexes, food courts, Cineplex cinemas, gaming zones, bowling alley and restaurants/hotels. For those who are golf and fitness lovers, a profoessional mini golf course is also waiting to be explored along with a welcoming worthy features include reputed schools, colleges, clinics and hospitals. Step into this Royal World and step out with Royal Memories - this is Royal Orchard Sahiwal..
Project Location : G.T. Road near COMSATS University, Sahiwal. 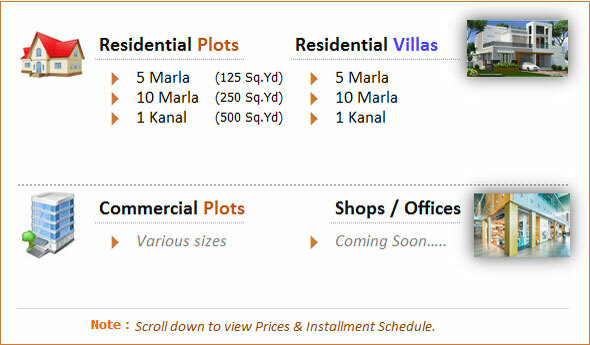 Project Attraction : Royal Orchard Sahiwal is the pride of Sahiwal. 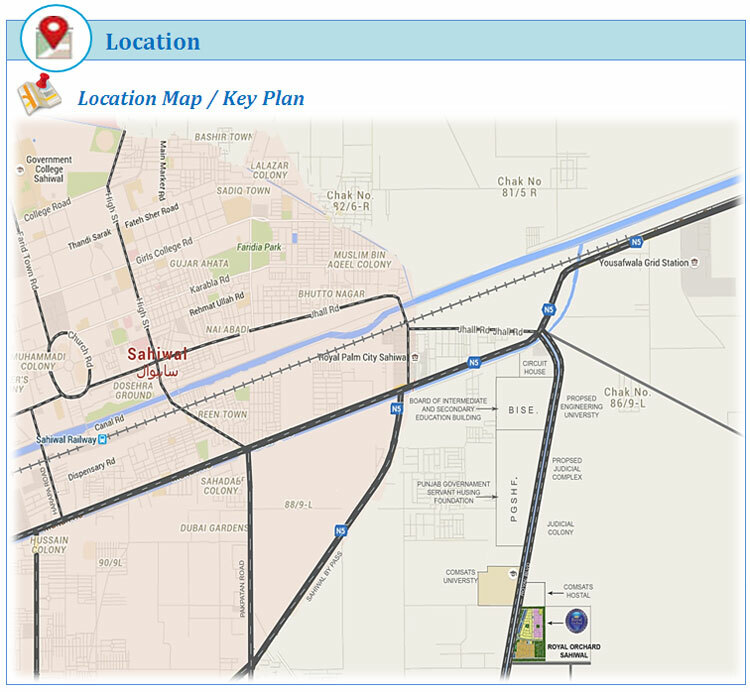 Project Type : It is one of the best housing project to be built in Sahiwal.